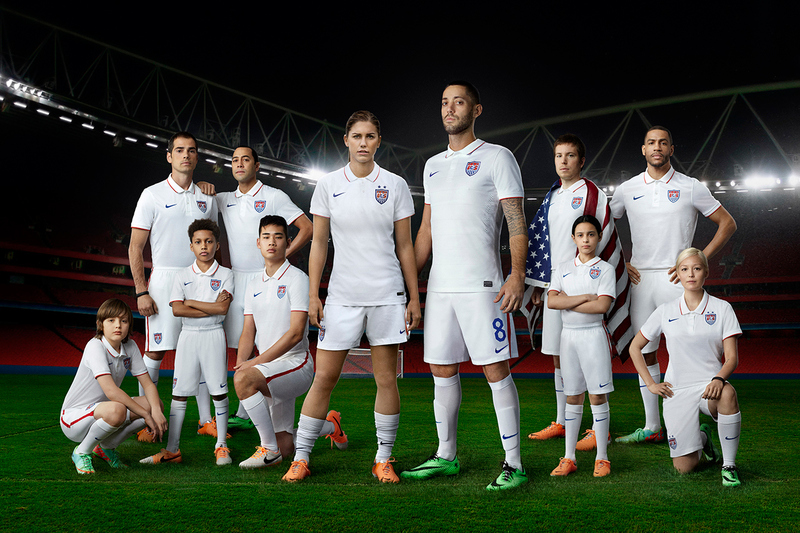 Check out what America's soccer team will be wearing in 2014. Designed to be “the ultimate expression of American style and patriotism,” the kit features Dri-FIT technology, “burnout” mesh, laser-cut ventilation holes and an environmentally-sustainable build using polyester (100% recycled polyester in the shorts, 96% in the shirt, and 78% in the socks) from recycled plastic bottles. Available now at Nike retailers and Nike.com.